Check out this new Woods Lamp that's flying off the shelves! I particularly like this lamp because it comes in a nice box and is light and handheld. Perfect for going from room to room or treatment to treatment... why? I have no idea... I'm just a shipping guy! See our great Woods Lamp HERE! Our most popular manicure lamp, the Slimline Manicure Lamp by Daylight Company, just got even better! The new and improved version now features 80 ultra-bright daylight™ LEDs to flood your entire workspace with clear, natural light! The daylight™ technology also reduces eye strain and glare for healthy vision and allows true color viewing! 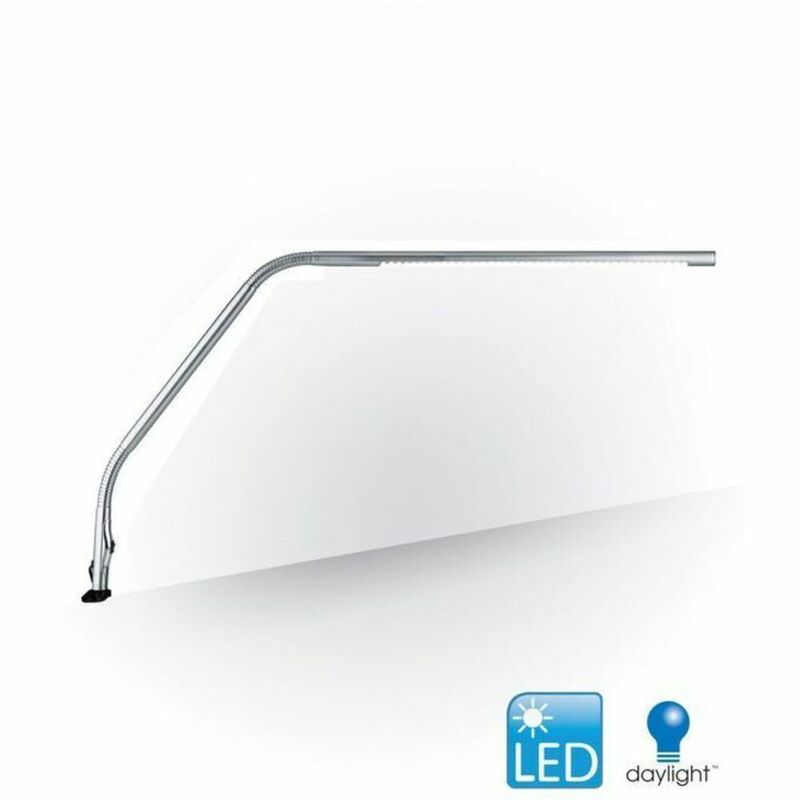 All our magnifying lamps come with a sturdy table clamp to safely hold your lamp in place. Our table clamps are in steel and have been designed to fit standard tables and other work surfaces.